And if you have visited 'Wesley's Britain' before, why not consider exploring further afield? Our partners can make alternative tour suggestions - with other British attractions and famous places to explore as well as Methodist heritage. How about Cornwall, or Newcastle and the North-east? Cornwall has dramatic coastline, brooding moors, and a wealth of pretty towns and famous landmarks such as the Eden Project and Land's End. But Cornwall was also once the most Methodist county in England. 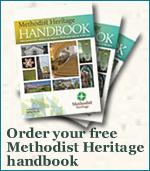 Its mining heritage, also acknowledged for its importance and influence worldwide, was intimately linked with Methodism. And the 'west country' was to give rise to its very own kind of Methodists, the Bible Christians (celebrating 200 years in 2015). Cornish miners were highly valued from South America to South Africa and Australia and took their Methodism - and Cornish pasties - with them! and then take a trip out to the Dales and visit exquisite country chapels and the Weardale Museum? More time? Then walk part of Isaac's Tea Trail and experience the rugged landscape of the Dales and reflect on the life of the early itinerant preacher.